Newport Beach, CA, July 28 –With over 10 highly successful locations throughout the Los Angeles area, Fresh Brothers is proud to announce the grand opening of their first Orange County restaurant, within the Harbor View Center, in Newport Beach. The new store opened on Friday, July 25th, at 11 am. This location features a large exterior dining area, curbside pickup and expect to see a full beer and wine license in the very near future. Fresh Brothers offers a fun and fresh California twist on the traditional pizzeria. 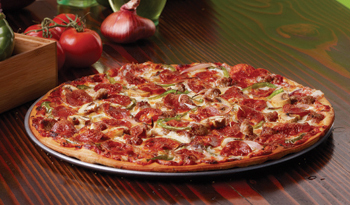 Using family recipes, Fresh Brothers features a thin crust, a skinny crust and a deep dish pizza. Their Buffalo chicken wings are baked, and never fried. Fresh salads are hand-chopped and tossed, with over 45 ingredients and 15 dressings that customers can mix and match. 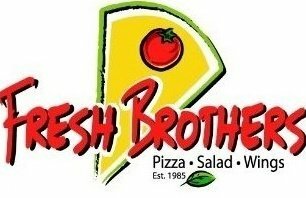 Ordering your favorite item can be done directly from the Fresh Brothers website and Facebook page. You can also order Fresh Brothers by downloading their app which is available on iPhone and Android. Sign up and become a member of the Fresh Fan Club and receive weekly specials, plus 10% off every order. For the health-minded eaters, Fresh Brothers offers a gluten-free menu which was developed using a training program designed by the National Foundation for Celiac Awareness. Fresh Brothers also offers many vegan options, including vegan cheese, vegan “chicken” bites and even vegan ranch and blue cheese dressing. “This is a major step for us. We’ve done well in L.A. and in the San Fernando Valley. But Orange County marks a milestone, and we’re tremendously excited to be here,” says Adam Goldberg, Fresh Brothers’ founder & CEO. Los Angeles-based Fresh Brothers was founded in 2008 by Adam and Debbie Goldberg, and has quickly grown into a household name, with legions of Fresh Fans. They've also garnered a number of national accolades, such as Pizza Today's “Independent Pizzeria of the Year for 2012,” and FastCasual.com’s “2014 Top 50 Movers & Shakers,” which placed them at #46. Locations include Hollywood, Santa Monica, Manhattan Beach, Redondo Beach, Calabasas, Marina Del Rey, West Hollywood, Brentwood, Westwood, Beverly Hills, Westlake Village, Encino and now Newport Beach.